Canadian smartphone and tablet maker Research In Motion is holding an event at the end of this month, and as I am sure you know that event is to unveil BlackBerry 10 along with a couple of BlackBerry 10 smartphones in a bid to revive the companies flagging popularity in the mobile space. And RIM had big plans for BlackBerry 10 including bringing their new smartphones to three of the top US carriers. BlackBerry 10 devices are crucial for Research In Motion to gain back lost ground against rival companies such as Samsung and Apple, and according to a report by Reuters, Verizon, AT&T and T-Mobile have said they are looking forward to offering BlackBerry 10 devices. During CES 2013 in Las Vegas, the chief exec of Verizon Communications, Lowell McAdam stated that they hope it will be a good device, and confirmed they will carry it. Whilst T-Mobile USA also plans on offering the first BlackBerry 10 smartphone, with John Legere stating that they are optimistic it is going to be a successful product and that T-mobile business users are interested in the device. David Christopher the chief marketing officer for AT&T apparently wouldn’t speak about specific devices but has confirmed that AT&T has promised to support BlackBerry 10, whilst Jeff Bradley, AT&T’s handset exec has confirmed the carrier will carry the smartphone remarking that it is logical that our current BlackBerry customers would want the best BlackBerry devices. 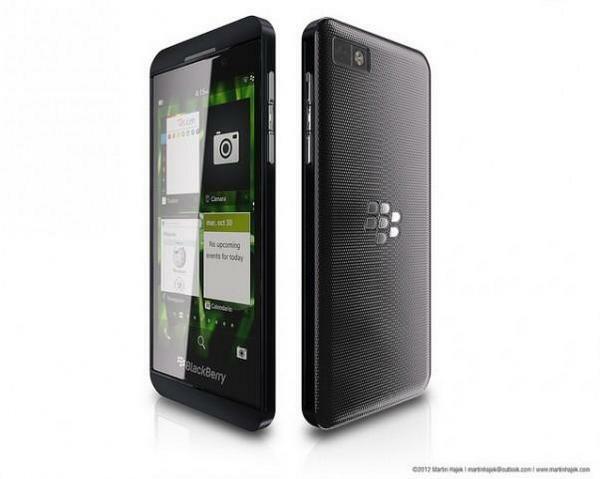 In related BlackBerry news, Fierce Wireless is reporting that Research In Motion has plans on releasing a minimum of 6 BlackBerry 10 handsets this year with an all-touch handset and a QWERTY device being announced on the 30th of this month. RIM further intend to eventually, according to RIM CMO Frank Boulben, hit a range of price points with their BlackBerry 10 devices covering the high, middle and low end of the market, although in an interview at CES 2013 the exec did say that RIM doesn’t currently have any exclusive relationships with carriers for BlackBerry 10 devices in any markets, although he did confirm that 150 carriers across the globe are testing out BlackBerry 10 smartphones. So there you go, RIM will be dishing all the details on BlackBerry 10 on the 30th of January, where we will get to know more about those first two BB10 handset with another four to follow at some point this year, but is RIM grabbing at straws or can BB10 revive the Canadian company? There is a mistake about the position of Frank Boulben, he is the CMO not the CEO of RIM. Please correct that. That has been corrected, thank you. Thanks for correcting that it was bothering me as well. where are the “leaked” pictures and specs on these devices? I know a few people who didn’t jump ship yet (not me btw…i don’t like blackberry stuff) but my wife is addicted to the crackberry keyboard (the thing i hate the most, as well as it’s marble). She has recently taken my Samsunf Galaxy S3 on a trip because her BB Tour “doesn’t have wifi ?” and verizon international data rates are obscene $25 per 100MB. She is getting to like the S3 alot even with the no keyboard issue. better hurry and ge the BB10 with keyboard out….she’ll be buying a new device when she returns.